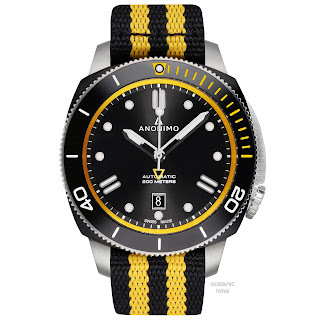 This is the new Nautilo GC32RT Ltd Edition watch made by Anonimo for the GC32 Racing Tour. With its striking yellow and black, GC32 Racing Tour colors, it reminds me a little of a Bumble Bee. 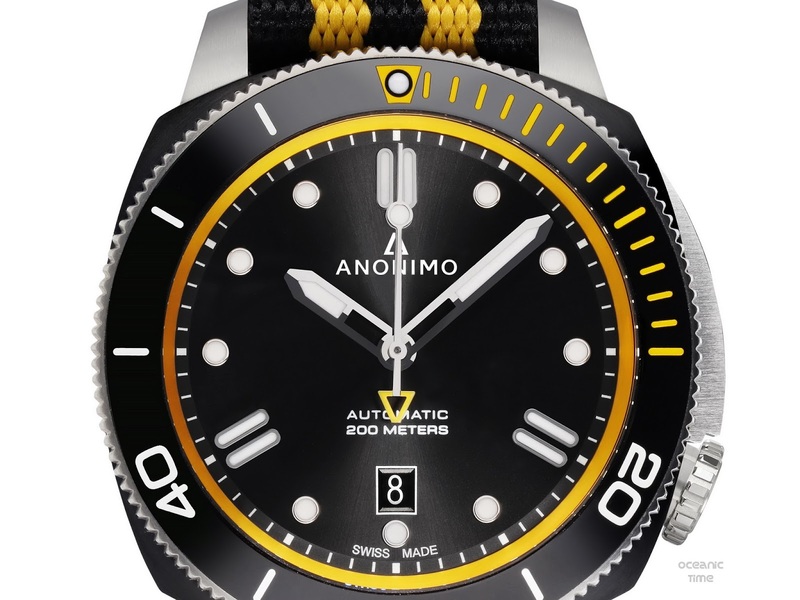 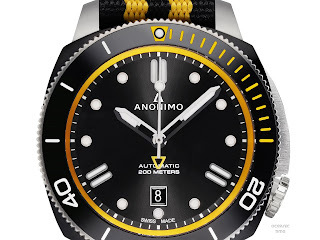 The watch is limited to just 17 pieces, marking the year that the Anonimo Speed Challenge was first launched, the yellow can be found on the NATO strap, the counterweight of the seconds hand, teh chapter-ring and the markings on the ceramic bezel. 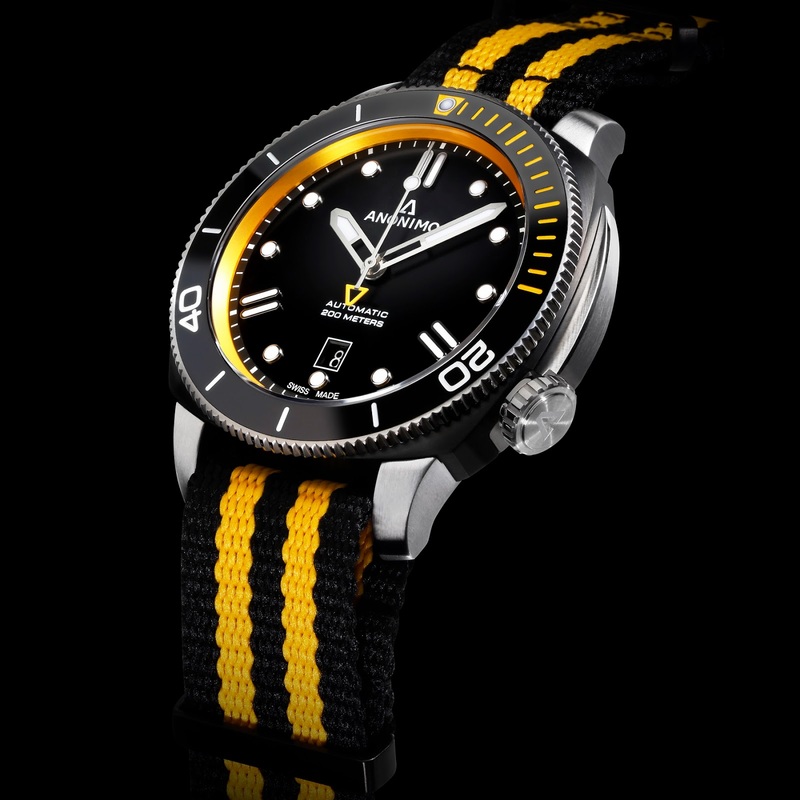 Like any member of the Nautilo family, this Diver is equipped with a robust automatic movement, the Sellita SW200-1, and is kept perfectly dry thanks to the watch’s 200 meters water-resistance. 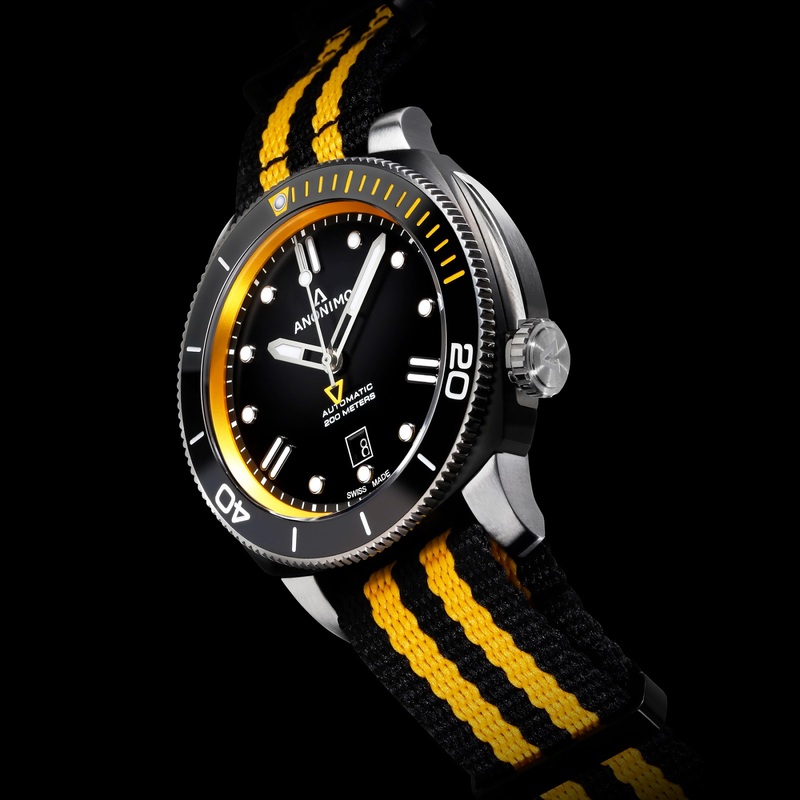 Finally, its 44.4mm brushed Stainless steel and DLC case has been teamed with an impressive NATO strap in black and yellow.